On Sunday, just before the final Project QUILTING Challenge was announced, Trish and I went live to draw the winners from the Project QUILTING Abecedarius Challenge. If you’re interested you can watch the video HERE. Spoiler alert – Trish sings! I have to admit, I’ve missed doing live shows with her and I really hope we find time to do more of them in the future! My Heart is Open by by Jacqueline Adams aka thequiltingyogi! Congratulations! You’ll be getting a fun prize from me! Hunter’s Design Studio is giving one lucky winner their choice of SIX patterns from her shop! I know whoever wins this is going to have a hard time limiting themselves to just six! A copy of Color Girl Quilts Pattern “Archer” is making it’s way to Carla of Creatin’ in the Sticks! ThermOWeb is giving one lucky winner a $20 Gift Card + free shipping! Congratulations to theblacksheepsfriend – Dawn Murray! Pamela Quilts – set of 2 PDF Patterns of their Choice and this goes to G_Adrian, Rutigt! Maywood Studio has donated a Fat Quarter bundle of Watercolor Hydrangeas to one lucky winner! Congratulations to Sweet Boater Chick! Sarah Goer Quilts has donated 2 PDF Patterns to one lucky winner! Congratulations to Diane Crawford! Aurifil mini spool set *not necessarily the one pictured here* My favorite thread! Congratulations to Lisa Marie! One lucky winner will win a fat quarter bundle of Kauai Sunrise Aura OR Maui Sunset Aura by Mister Domestic! 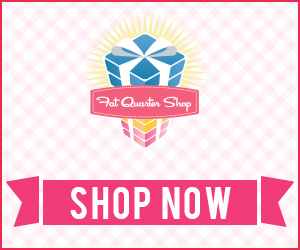 I just ordered them both from the Fat Quarter Shop and I’ll let the winner pick which one they want since I love them both equally! Congratulations to My Quilting Musings, Barb Johnson! I just think these are adorable so I’m giving a different one away each challenge. And the winner is … Karen Blumschaffer! I found a good deal and thought this would be a fun little prize set. Don’t be surprised if I throw a few extra goodies in with them! Congratulations to KatieMayTooQuilts! The next challenge is posted – Craving Chocolate! Have fun everyone!